Each year, hunting calendars nationwide get marked with giant circles and X’s to mark desired hunting season start and end dates. Vacation time is requested, cars are packed and once that first open season day arrives, the surrounding wildernesses see a flurry of activity. State fish and game department regulations. Of these factors, the most important one concerns the breeding patterns of animals. Hunting seasons are timed so that seasons close around the peak breeding periods for each species. This gives each species a chance to replenish the following hunting season, adding to the preservation of the species’ numbers as well as the overall ecosystem. Muzzleloading gun (primitive firearm) hunting season. Contact the local wildlife department when embarking on your hunting trip to find out more about hunting season dates and restrictions in your area. Between $50 and $2,000 in fines. Between five and 180 days in jail. Possible requirement to pay restitution for animals illegally caught (minimum $1,000). Aside from being penalized for hunting out-of-season, hunters can also find themselves in legal trouble if they are caught with animals that are restricted in that state (i.e. bears, wild turkeys, deer, etc.). Other hunting violations include: illegal use of hunting weapons (i.e. crossbow, bow arrow, gun) and hunting under the influence of alcohol or drugs. Hunters who are found to have multiple hunting offenses within a certain designated time period will also face steeper fines and jail time. Depending on the hunting violation, penalties can also include the revocation of your hunting license for either a set period of time or for life. Whenever you plan a hunting trip for yourself and/or your family, make sure to research the hunting seasons of the animals you want to catch to avoid any of the above penalties. 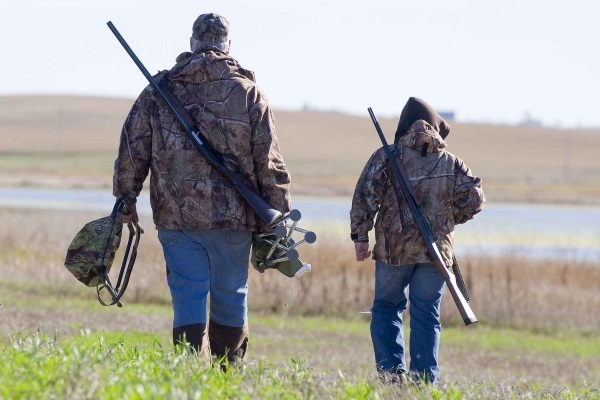 Additionally, be sure to adhere to any other hunting rules and regulations to ensure your trip is a successful one.